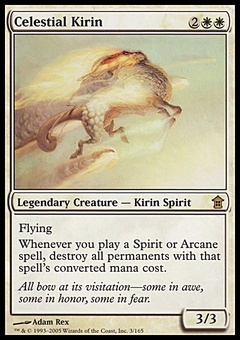 Rites of Flourishing ($1.55) Price History from major stores - M12 - MTGPrice.com Values for Ebay, Amazon and hobby stores! 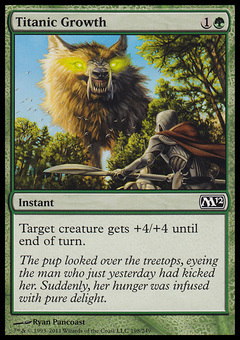 Card Text: At the beginning of each player's draw step, that player draws an additional card. Each player may play an additional land on each of his or her turns. 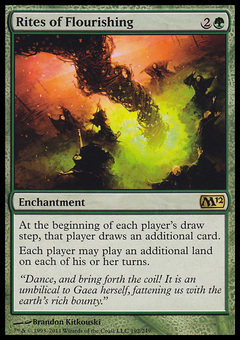 Flavor Text: "Dance, and bring forth the coil! It is an umbilical to Gaea herself, fattening us with the earth's rich bounty."